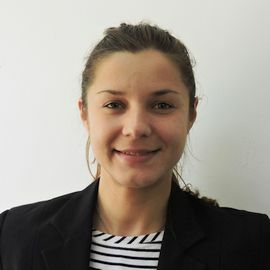 Ioana joined the Client Success team in September 2015, where she made sure that universities maximize their exposure and reach to international students, from all around the world. Before becoming SIA General Director, Ioana brought her contribution within Studyportals as Campaign Manager, Data Process Specialist and Junior Web Content Manager. Previously, Ioana was an Intern for the Innovation department within British Council Romania, where she developed an appetite for working in a multinational environment. She had also worked as a book-seller for over a year, but decided she wanted to play a more active role in the global higher education. At Studyportals, she found the perfect mix of an international team, strong core values and the chance to make an effective difference. Ioana pursued her Bachelor’s in Journalism and Communication Sciences at University of Bucharest, and enrolled in parallel for a B.A. in Philosophy. She also attended a Master in Philosophy of Cultures. The most important thing for Ioana is to deliver reliable and efficient services, as well as to build a trusting relationship between Studyportals, worldwide universities and the students who are looking to pursue their dream studies abroad. Apart from keeping clients happy, Ioana enjoys playing table tennis, riding her bike, swimming in the summer, and mountain hiking in the winter. She likes spending much of her free time outdoors, but is also very fond of reading philosophy, psychology and memoirs.